Discovering that you have a boiler leak can cause you to panic. This is because of the dangers associated with these leaks. While a boiler leaking water is not necessarily a cause for alarm, it can be a sign of undetected problem. This means that if it is not attended soon, you could end up with a broken boiler which is a huge problem. It is therefore important to get these leaks looked at by a professional. Eco Efficient has made it easy for residents of Cambridge to access gas and boiler leaks engineer. They are the best boiler leaks repair engineers. They will identify the leaks and work on them quickly. On the other hand a gas leak is a very serious issue. If not attended to it can cause a disaster. It can lead to fires, explosion and carbon monoxide poisoning. The first sign of a gas leak is the smell apart from carbon monoxide which is odourless and tasteless. Experts recommend that you have a carbon monoxide detector fitted in your house. Gas leaks should be dealt with immediate effect. You should ensure that only a gas safe engineer handles this. Eco Efficient is a registered and gas safe company. Our engineers are all trained to standards and have expansive knowledge on gas and boiler leaks. They are gas safe and will readily show you their certificate of compliance on request. They are also issued with all modern appliances and modern technology to help them identify and repair the leaks. Due to the urgency of boiler and gas leaks you will need an engineer who can be in your home within the shortest time. Our engineers are provided with company vehicles to ensure that they arrive to your home for gas and boiler leaks in Cambridge. A leaking boiler is a sign that your boiler has a problem. It shows that there is a component of your boiler that is broken or worn out. 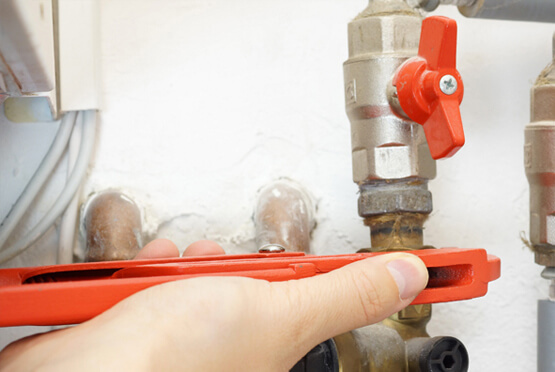 A leaking boiler could lead to corrosion, rust and even short circuit. It is important therefore to have this checked out by a qualified engineer. Our engineers are more than capable of handling this. They come armed with spare parts and all they need to get your boiler working efficiently again. This then helps you save on time and you also get a working boiler quickly. One of the reasons why you should not attempt to repair your leaking boiler is because it’s illegal. An amateur will have a hard time determining where exactly the leak is coming from. He may therefore repair just the outer problems and leave you with the complex problems in the inside. This is a risk you can’t afford to take especially when the safety of your home is compromised. Eco Efficient will help you keep you and your loved ones safe by ensuring that you get excellent gas and boiler leaks repair services in Cambridge and its surrounding cities.